Alidia shook her head, "Jack its not your fault," she paused as she looked up and it was snowing. She smiled and giggled. She made her sketchbook appear and began drawling. She would look at Jack and back down on her paper. She was going to draw him and do it perfectly. His prefect eyes,hair and smile Alidia thought. When Alidia was done, she stood up, held her hand out and hoping Jack did the same. Jack grew confused. Had he ever said it was his fault? He pushed the thought aside. He glanced over as she began sketching randomly. He waited patiently, wondering what she was drawing. He peered over, not really seeing what or who she was drawing as of yet. He raised an eyebrow as she held her hand out. He didn't know what she expected him to do. He stood up as well before holding his hand out against hers. He hesitated, keeping his eyebrow raised. Was something supposed to happen? Alidia was wondering if Jack felt anything. When their hands touched her picture of him in her journal fell. Jack didn't feel anything. He was beginning to wonder what this was meant to be about, before a drawing of him fell out of her journal. He bent down and tilted his head, picking the drawing up. "Huh," he raised an eyebrow. "You're good. And I've gotta say, the guy in the picture is pretty good looking," he joked with a chuckle. Alidia giggled. "Thanks, Ive got more." She flipped to the page she working on. "This is a sketch of the person who makes my nightmares, do you recognize him?" 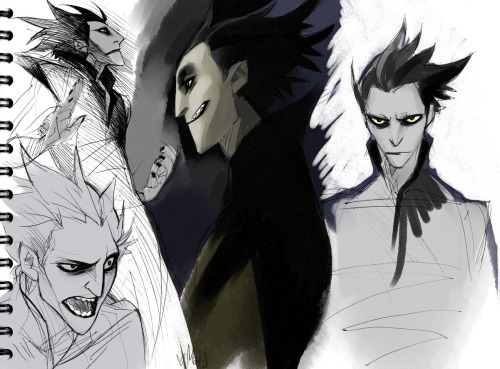 Jack's eyes widened once Alidia flipped to a page, full of sketches of Pitch. The Nightmare King, or most commonly known as, The Boogeyman. His brow furrowed and his face grew angry. "Yeah, I know him," he replied, rather unenthusiastically. "You know he's not real, right?" he asked, hoping that the girl didn't believe in him. It was mean. Everyone deserved to be believed in... but what Pitch did was horrible. Alidia nodded her head no. Then it happen again, she spaced out. Alidia closed her eyes and made a crystal ball appear. She made it show her darkened past. Laughing and playing the games Deanne and her were having a great time. Until it was time to head home. They walked to her house. " I had a fun time with you Alidia, but now I've gotta ask will you be my special girl?" Alidia was shocked. "Deanne I had fun but I can't cause my parents want me to travel and writings. Please don't get mad." Deanne grinned evilly as he muttered words like this: day is dawn and beauty she is make her like me. And casting this spell all my beloved's is dead." Alidia felt a bolt of energy going through her and she was still wearing her necklace. And then she blacked out. The crystal ball showed Athena and Ariel coming to her rescue. Then the crystal ball went black. Alidia opened her eyes and made the crystal ball disappear. All seemed fine, before Alidia spaced out. "Whoa! You okay?" he asked, trying to get her attention. He glanced down, seeing that a crystal ball had appeared out of nowhere. "What the--" he closed his mouth. Alidia's past seemed to flood the room, showing events of the day she was changed. He looked at the guy called Deane, wondering what role he played before noticing him mumbling a bunch of words. Alidia seemed to be hit with some form of energy before she blacked out. Jack looked at Alidia as her eyes fluttered back open. "What the hell just happened? Are you okay?" Alidia rubbed her forehead. "I'm okay....I think?! What happend? I spaced out and then that's all I can recall at the moment. My head." 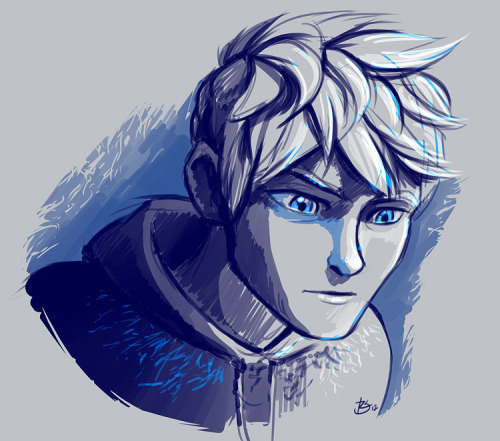 "Um..." Jack raised an eyebrow. "Maybe you should get yourself checked out" he chuckled lightly before sighing. "Uh... I saw you and some guy called... Dean... Deane? I don't know" he shook his head. It was all pretty confusing. Alidia shivered in fear. "Please, not Deanne. Anyone but him." Alidia opened the skull charm and Deanne's hologram showed with his cocky grin. "Jack did you see this guy?" Alidia prayed Jack would say no. Jack looked over at the hologram Alidia had created, showing a picture of the guy from earlier. Deane. Jack nodded. "Yeah that's him. Hey, I gotta question for ya. How old are you?" Alidia hoped that Jack wouldve said no but it was her evil ex. She shuddered. "I....I am 17 but thats in mortal years but in immortal years I'm close to 200 years."